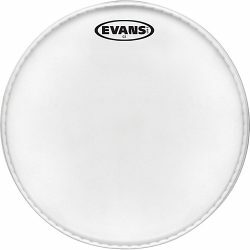 The Evans EQ4 Clear is an open, resonating bass drum head giving you a brighter thud, with a full sustain. 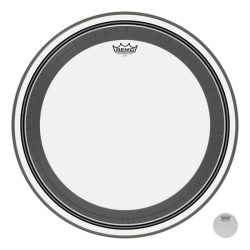 The Evans EQ4 Clear bass drum head is made with a single ply of 10mil film, and an underside inlay ring. 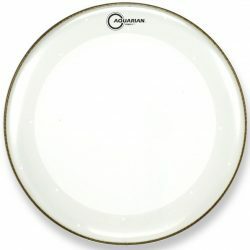 The single 10mil ply allows this drumhead to resonate very well. 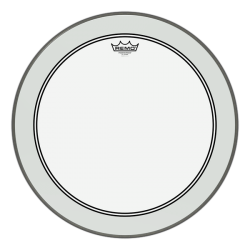 The added underside inlay ring (the “overtone control ring”) gives a slightly focused sound that stops overtones getting out of control. Importantly, however, the inlay ring doesn’t choke the head, and still allows for very good sustain. 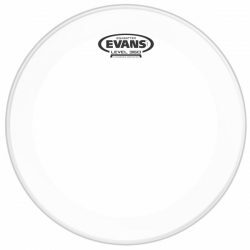 The single 10mil ply makes this bass drum head very responsive to lighter playing… The Evans EQ4 Clear is a great choice for sensitive bass drum work. 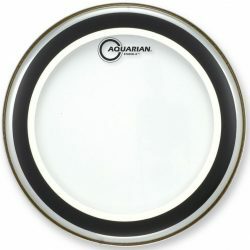 Thanks to the brighter cutting attack, this drumhead is also very usable when played in medium and louder volume environments. 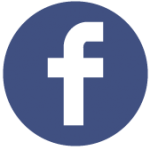 Note, however, the thinner design may not hold up well in extremely hard hitting or very loud situations. 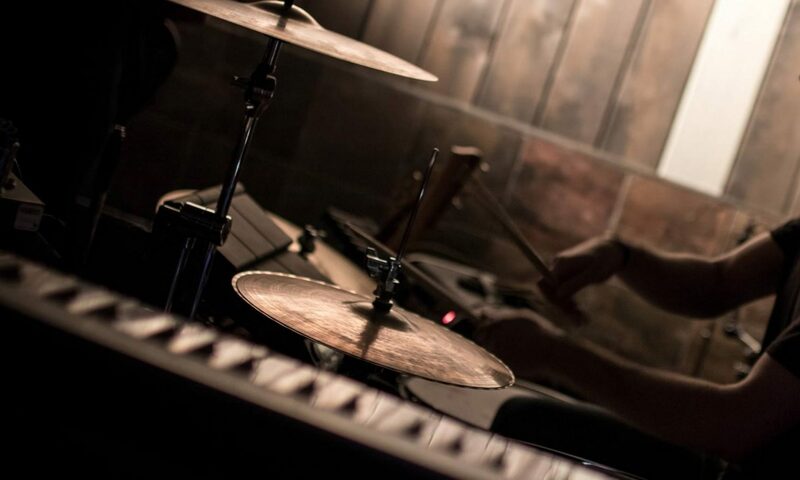 Get a kick drum patch to protect this head if you play a little harder. 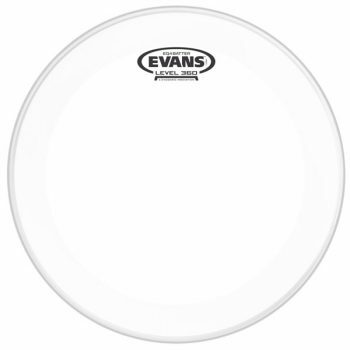 Sound-wise, the Evans EQ4 Clear gives a bright moderate attack, followed by balanced-bright tones. There is a strong sustain that has good depth. 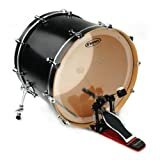 This is well suited to low and medium volume drumming, or louder environments with a microphone on the bass drum. The inlay ring reduces overtones and focuses the sound, but doesn’t reduce the sustain too much. 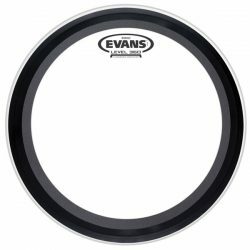 The Evans EQ4 will allow you to hear the fullness of your bass drum shell… Tune it low for a fat smooth rumble, or increase the tension for a more cutting boom. The Clear EQ4 is brighter than the Frosted version of the EQ4, and has a more cutting attack. This sound profile makes it a little better in louder environments. 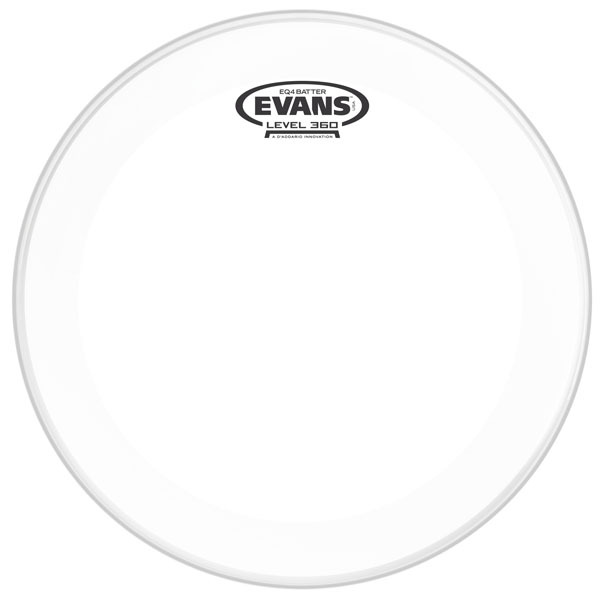 The Evans EQ4 Clear is made for bass drums, and is available in sizes 16″ to 26″. 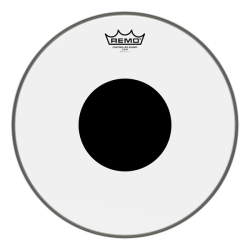 There is also a 16″ tom version, which is perfect for floor toms converted to bass drums.